A philanthropic program named for Discovery Point’s co-founder, the late Diane Clark. Each year, Discovery Point child care centers partner with local charities in honor of Clark, and each center encourages its community to contribute. The official charity drive for Diane’s Devotion is a Back to School Supply/Backpack Drive that takes place annually at the beginning of the school year. Discovery Point partners with the Marine Toys for Tots Foundation, a not-for-profit public charity, to raise funds and collect toys during the holiday season to benefit less fortunate children throughout the country. Many Discovery Point centers set up toy collection stations in their lobbies and take monetary donations. 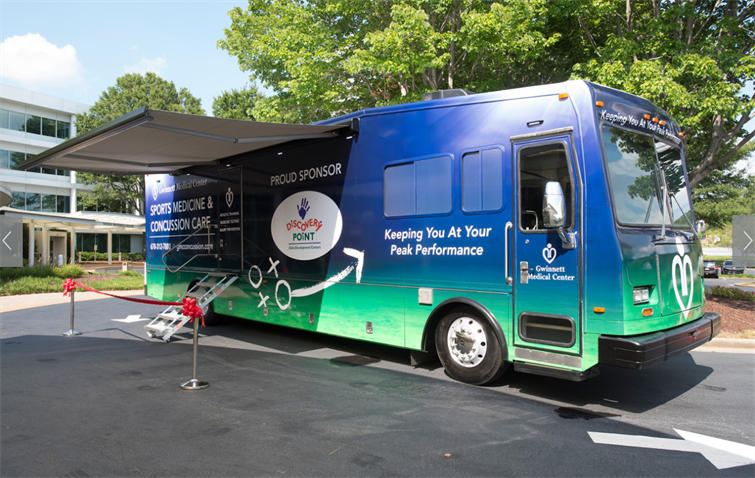 Discovery Point is proud to partner with Gwinnett Medical Center to help produce the “Sports Medicine and Concussion Care-A-Van.” This mobile concussion care unit is the first of its kind. It travels to sports leagues, park centers, child care centers, and family events to provide baseline concussion testing that aids in proper diagnosis and treatment in the event of a head injury. The Care-A-Van’s primary mission is to provide education, prevention, proper diagnosis, and treatment. As primary sponsor of the project, Discovery Point’s contribution helped to expedite the completion of the renovation – 9 months from start to finish.